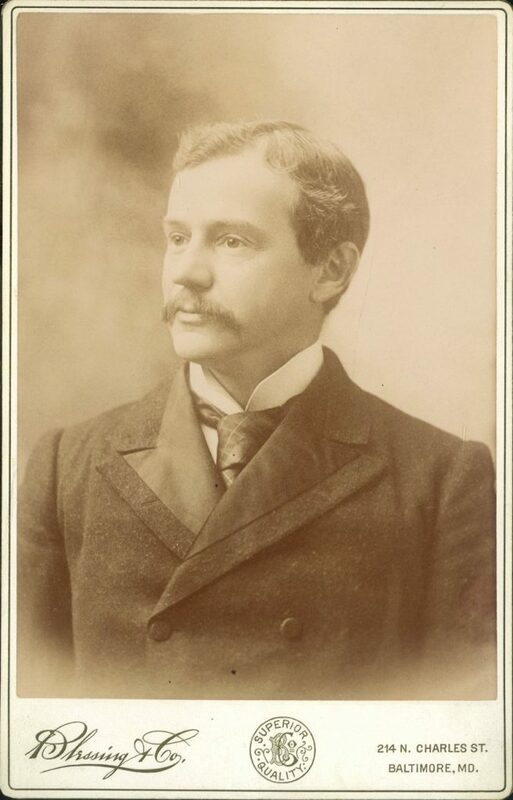 Howard Atwood Kelly was born in Camden, New Jersey, on February 20, 1858, the son of Henry Kuhl Kelly, a prosperous sugar broker, and Louisa W. Hard, the daughter of an Episcopal clergyman. During his childhood Kelly developed an interest in science, particularly biology and botany. This interest was encouraged by his mother who often invited members of the Philadelphia scientific community to spend time at her house, sharing their knowledge with the young Kelly. Kelly enrolled at the University of Pennsylvania in the fall of 1873 as a member of the College Class of 1877. As a matriculant he was awarded the Latin Prize. During his College years he was president of the Franklin Scientific Society and a member of Zeta Psi fraternity. Soon after graduating from the College, Kelly enrolled in Penn’s Medical School as a member of the Medical Class of 1879. As a medical student, Kelly was the joint recipient (with Horace Jayne) of the anatomy prize offered by the Demonstrator of Morbid Anatomy. Kelly received his M.D. degree in 1882, after taking two years’ leave for employment as a cowboy in the American West, mostly in Colorado, and as director of the Rothrock’s School of Physical Culture, the first private camp in America. Following his graduation from the Medical School, Kelly served as a resident at the Episcopal Hospital in the Kensington section of Philadelphia. Following his residency, Kelly founded a two-room “hospital,” which by 1887 evolved into the Kensington Hospital for Women, later known as Kensington Hospital. It was here that he first gained renown as a physician, performing abdominal surgeries widely thought to be impossible by the national medical community. In 1888, Kelly was named assistant professor of obstetrics at the University of Pennsylvania’s Medical School. He did not, however, remain at his alma mater for long. The following year William Osler, who had moved from Philadelphia to Baltimore to become chairman of medicine at the newly formed Johns Hopkins University, offered Kelly the position of professor of obstetrics and gynecology at Johns Hopkins. Kelly, along with three other doctors, became the first members of Johns Hopkins University medical faculty. All four would eventually become world renowned; collectively they were known as the “Big Four.” Kelly was never a professor at another university; he remained at Johns Hopkins, retiring in 1919 to become professor emeritus. Following his retirement, Kelly remained active at Johns Hopkins, serving as a consultant to the University and its hospital for the remainder of his life. While at Johns Hopkins, Kelly’s position as a leader in the medical field was established. In 1892, only three years after moving to Baltimore, Kelly founded the Howard A. Kelly Hospital which remained an active hospital until 1938. Also while he was a professor at Johns Hopkins, he was named an honorary fellow of universities in Edinburgh, Glasgow, Dublin, London, Paris, Rome, Berlin, Leipzig, Bucharest, Vienna, Kiev, and Lima. 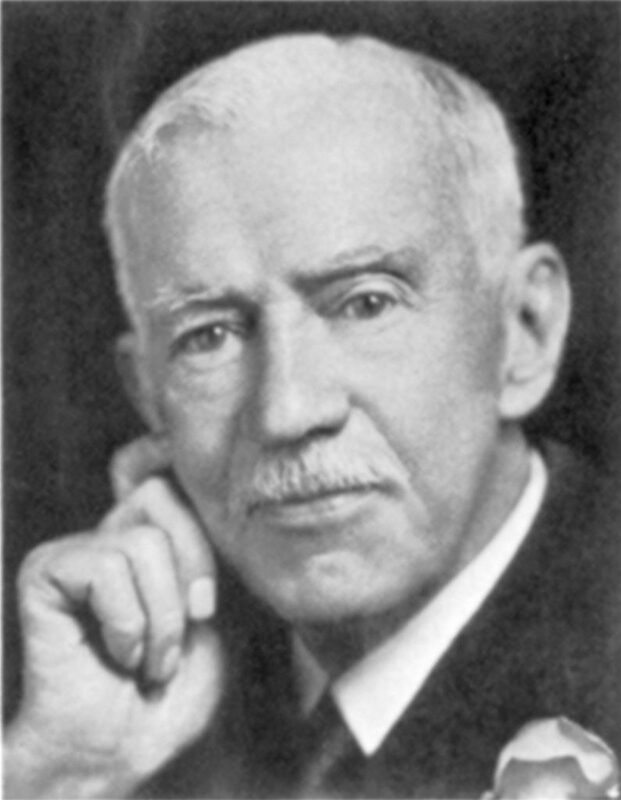 Kelly was a member of scores of medical societies all over the world and was a founding member of the American College of Surgeons in 1913. Kelly was responsible for many medical innovations and inventions during his career ranging from the out-of-style, such as the use of cocaine as a local anesthetic, to the ahead of its time, such as the use of radium to treat cancer, a precursor to modern chemotherapy. Kelly’s service to the medical community was recognized time and time again by academic institutions. He received the honorary degree of Doctor of Laws from the University of Pennsylvania in 1907 as well the same degree from the University of Aberdeen, Washington College, Washington and Lee, and Johns Hopkins. Although Kelly was most well known for his career as a surgeon and medical professor, he was well known for other achievements. Aside from once being operated on by the Mayo brothers, Kelly was a prolific writer, authoring over five hundred scholarly pieces and a number of books. He was also well known for his devotion to his Episcopal faith. Kelly kept the Sabbath, read the bible daily, and often lectured or wrote on the subject of religion. One of his books, A Scientific Man and the Bible strove to balance his faith and his career; another book was a biography of Dr. Walter Reed. Kelly also dabbled in botany, natural history, anthropology, and politics. He was a staunch prohibitionist, opposed to birth control, once punched a polling place hoodlum to make the act of voting less threatening for the common voter, and confronted judges he saw as corrupt. Kelly died at the age of 84 in Baltimore on January 12, 1943. His wife of fifty-three years, the former Lactita Bredon, died in the room next door at Union Memorial Hospital some six hours later. They were survived by their nine children, several of whom had become doctors themselves.